There probably isn't a bad time to visit California's wine country, but September is an unusually opportune time. It's the 13th Annual California Wine Month, with special events featuring food and wine scheduled for wineries throughout the state. California is already the nation's most-visited state for food and wine and California's wineries ramp up the offerings in September to draw in even more wine and food enthusiasts. Wine tourism is growing in popularity, and according to the Wine Marketing & Tourism Conference, it's increasingly important to the industry's bottom line. A survey by Silicon Valley Bank found 45% of wine revenue in Napa County comes from direct sales, the lion's share from tasting rooms. People who love wine also seem to like to travel, so savvy marketers have profitably put the two together. Things get started early with Sonoma Wine Country Weekend through Sunday at Sonoma State University, with a taste of the academics of wine and food. The following weekend is the Sonoma Valley Crush, where visitors get hands-on harvest experiences at 12 small wineries. Also that weekend is the 33rd Winesong, a celebration of the wines produced by wineries from Mendocino, Sonoma, Napa, and beyond. The celebration also includes various musical groups performing jazz, classical, and blues. California's wine-producing regions are broken down in the Far North, Inland Valleys, North Coast, Central Coast, Sierra Foothills, and Southern California. 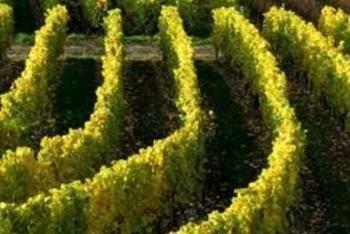 Wineries in each of the six regions plan special events throughout the month. Wine Enthusiast Magazine has declared the Calistoga Wine Experience one of the top 10 wine destinations in the world. September 9, it will feature wines from more than 35 area wineries, as well as a chance to talk to the winemakers and take part in a wine festival experience. September 16 brings the Lake County Wine Auction at Cache Creek Vineyard and Winery. Things get started with a tasting of food from a selection of 10 juried providers that are paired with local wines. Not only do you get to taste wine, there's a gourmet meal in the farm-to-table spirit. The evening is capped off with an auction to raise money a wide range of causes, including organizations promoting the arts, health, and community. Farther south, Santa Barbara wraps up the month September 29 with a four day celebration featuring wine and food at The Taste of Santa Barbara Wine Country. Visitors will get to taste library wines, fall releases, and special menu items from local restaurants. In addition to special events, some wineries are celebrating during the entire month. The Iron Hub Winery in Plymouth will put out a spread of morning bites each business day for early-in-the-day wine tasters. Visitors are encouraged to picnic in the oak grove and enjoy the Sierra views. According to the owners, the Iron Hub Winery overlooks the oldest documented Zinfandel vineyard in California. And that's just a sample of the wine-related events California offers in September. Most wineries are planning some kind of tie in to encourage visitors. With 4,700 vintners and 5,900 growers, you might need help narrowing down a place to visit. This online tool may help you navigate the state. Food is a natural complement to wine and the California Wines websites offers a number of favorite recipes, including grilled shrimp tostadas with tomato-corn salsa, guacamole, and lime; grilled baby back ribs with smoke cherry barbecue sauce and red cabbage citrus slaw; and grilled chicken salad with feta, mint, toasted pita. California, of course, is served large international airports, so air travel is rarely a problem. San Francisco International is the major airport serving the North Coast, Sierra Foothills, Inland Valleys, the Far North, and portions of the Central Coast. Los Angeles International and San Diego International serve Southern California and portions of the Central Coast and Inland Valleys.